A poorly installed roof can result in a variety of serious issues, including water intrusion and structural damage. New View Roofing is a GAF Master Elite® certified roofing contractor. This prestigious designation is given to companies with strong business practices, that are committed to continuous training on quality installation techniques. When you hire New View Roofing, you can rest assured that your new roof will be installed according to manufacturer standards and with skilled workmanship. Personable customer care. We take time to listen to your needs. We’ll keep open lines of communication throughout the duration of your project so you’re never “left in the dark” when it comes to the work we’re doing on your home. Respect. 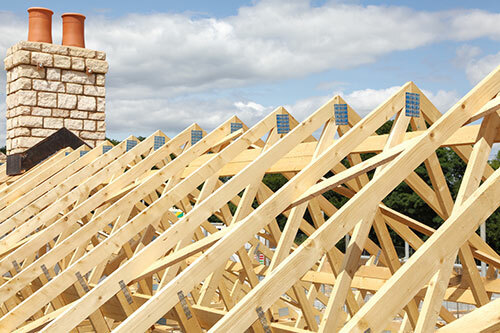 We understand that a roof replacement can be an inconvenience to your daily routine. Our roofing contractors show up on time to every job site. We work efficiently and respect your property by cleaning up our mess. We’re also respectful of your budget and will work with you to come up with cost-effective solutions. Excellent workmanship. When it comes to our workmanship, we have the highest standards. We pay close attention to detail and stay up-to-date on the industry’s latest practices and trends. Our results are long-lasting and backed by impressive warranties. The team at New View Roofing has over 25 years of combined experience in the roofing industry. We ensure quality installation with every job we take on. Learn more about our industrial, commercial and residential roofing services by calling (469) 232-7220, or submit our online form to schedule your free inspection.